The old Zafira has been Britains most popular MPV for years but is now starting to feel a bit long in the tooth and finding it harder to compete with the current crop of seven seat MPV from the likes of Ford with the S-Max, Citroen with the C4 Grand Picasso and Peugeot with the 5008. Well Here is the car that can compete and it does on many levels. All models have cruise control, air conditioning and a DAB digital radio as standard equipment. The boot space has also increased over the old model and it does feel more spacious for passengers and for luggage. But this is not the end of the road for the old Zafira. Vauxhall plan to sell this new model as an upgrade option for Zafira buyers so don’t despair you can still get your hands on the older model if you don’t want to pay the extra for the tourer which starting at £21,000 is £6,000 more than you pay for the cheapest version of the standard Zafira. All the seats fold down flat so that you have a large flat load space. Perfect for transporting large items. With the boot seats folded down you have 710 litres of space. 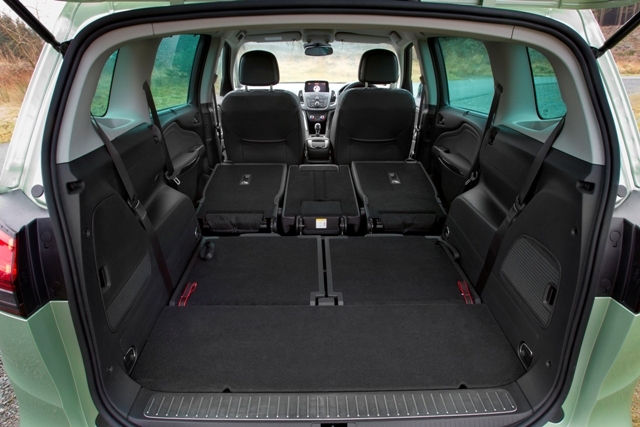 With two rows of seats folded down you have 1610 litres of space. Vauxhall don’t seem to have put much thought into storage places for this car. The glove box is tiny, the centre console has a small slide out tray which is not much use for anything other than a couple of CDs and apart from the door pocket that’s about it. 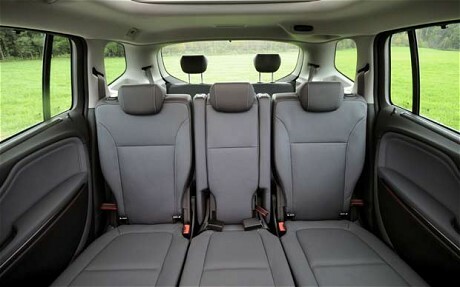 Unlike on the old Zafira you now have seven individual seats which now means this car can compete with cars like the Ford S-Max on seating flexibility. However before you get too excited the middle seat is still smaller than the two outer ones which means that it’s still only suitable for children and you would struggle to fit three child seats next to each other on this row. Climb into the boot seats and the space is limited and really only good for small children. Adults would struggle to sit in these seats for even short journeys in any comfort. There are two petrol engines to choose from: a 1.4 and a 1.8 litre. The 1.4 is underpowered and you really have to work it hard to move a car this size. The 1.8 performs much better but you lose out on fuel economy and road tax compared to diesel. One of the diesel engines is the best option here. Particularly with the excellent engines on offer. Raised seating position and plenty of glass gives the driver an excellent view of the road. Handles well on the road for a large car and takes corners comfortably in its stride. Steering is light and so is the clutch. The gearbox is slick and easy to use. The cabin borrows a lot of features from the Vauxhall Insignia and there is a lot of soft plastics on show which gives it a feeling of quality. Hardly any road noise gets into the cabin when this car is cruising at speed. The suspension is great when you are cruising at speed on the motorway or minor roads but seems not as forgiving of bumps in the road when you are travelling at lower speeds. It’s a little too early to say how reliable this car will fare with the car only having been available in the UK since early 2012 but it does share many components with other cars in Vauxhalls range and they have done well for reliability so at the moment it looks like it should do alright. 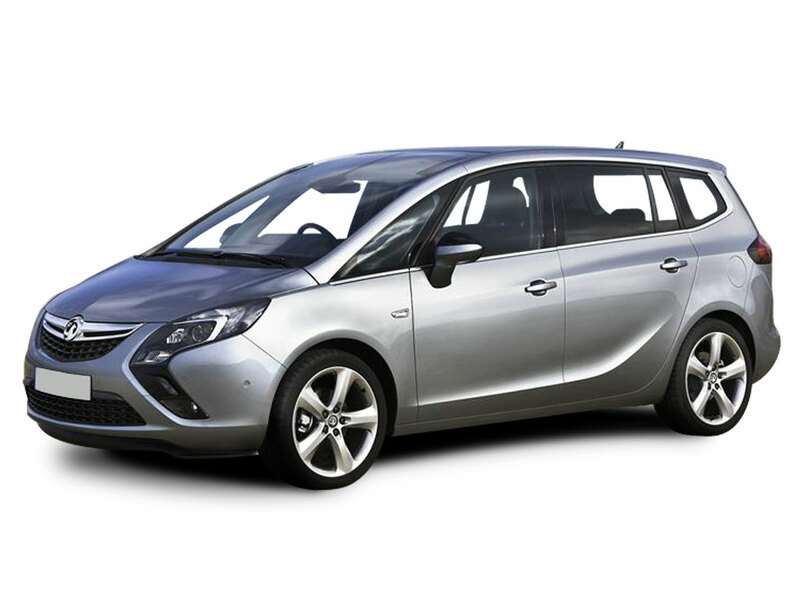 The Vauxhall Zafira Tourer is one of the cheapest seven seater MPVs available in the UK for road tax and one of the best for fuel economy. The engine of choice is the 2.0 litre ecoflex diesel which emits under 120 CO2 / Km which puts it in tax band C. This means that the road tax in the first year is zero and after that it costs just £30 for the full twelve months. Now that its astounding. Not only that but this engine will return 62.8 miles per gallon combined. There are five trim levels to choose from, yet even the base model has a good level of equipment as standard.